The innovative design of the QuikTrak stand-on platform mower fills the gap between traditional mid-mount zero-turning-radius mowers and commercial walk-behind mowers. 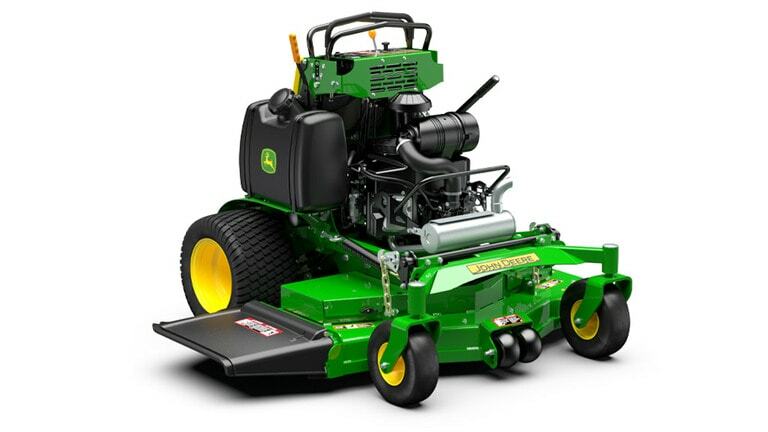 Compact in size, they occupy about the same space on a trailer as a commercial walk-behind mower and offer superior trimming visibility. QuikTraks are driven from a standing position so operators can shift their weight instantly to handle changing terrain. 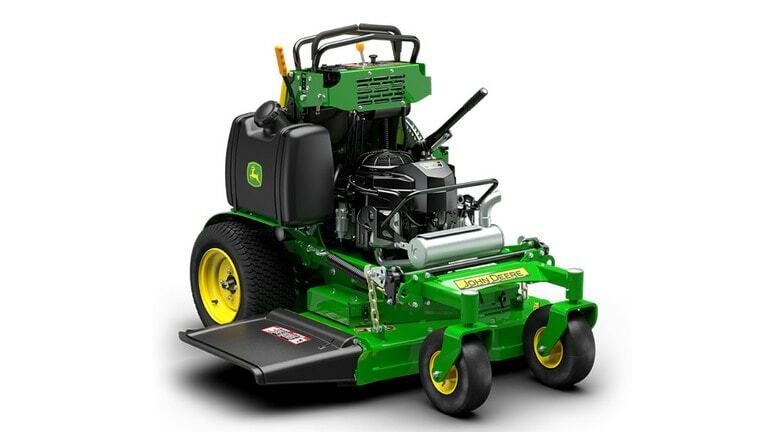 These machines are highly maneuverable, highly productive, easy to operate, and have control and handling for trim mowing. With no seat, seat belts, or arm rests, the operator can easily step off for a quick exit or to move debris. 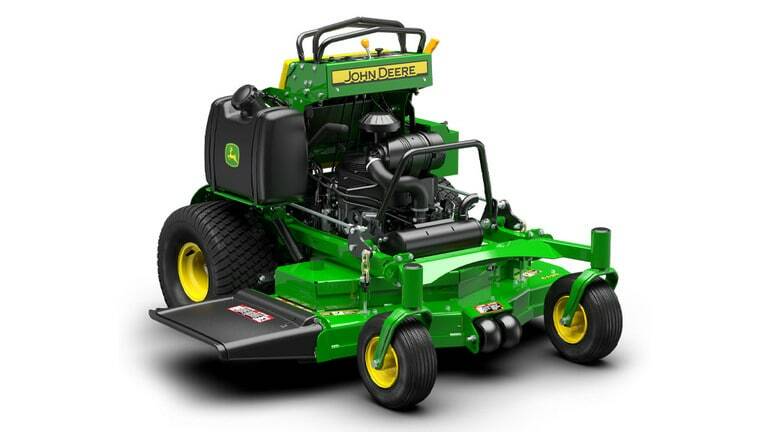 Mower decks are fabricated from seven-gauge, 0.177-in. (4.5-mm) steel. They have a compact footprint and space-saving design. 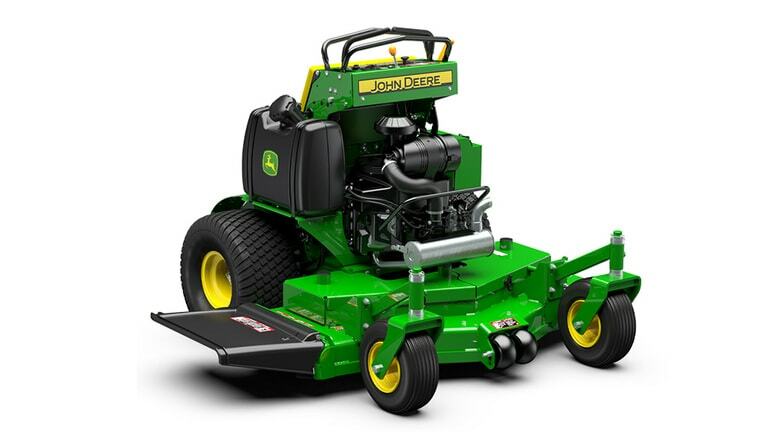 Recessed caster wheels give a smaller turning radius, air-tapered surfaces reduce the chance of clumping, and high-volume airflow stands grass up for a uniform cut. Anti-scalp rollers on the 48-in. (122-cm), 52-in. (132-cm ), and 61-in. (155-cm) mower decks aid in smooth, even results on varying terrain. 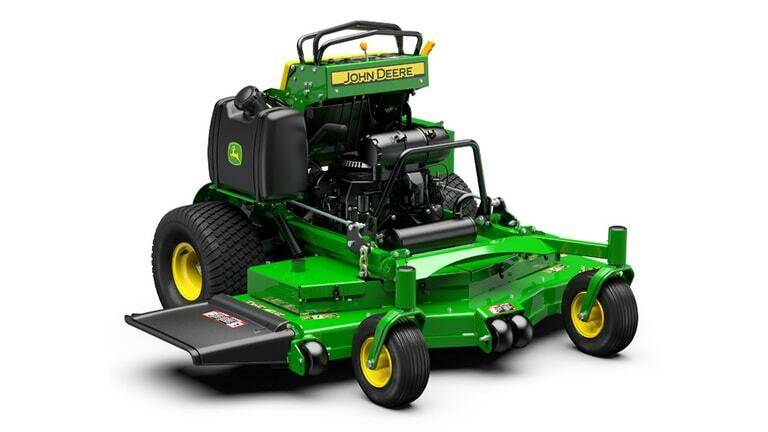 The E-Series model is equipped with the essential features that customers demand at the most affordable price. 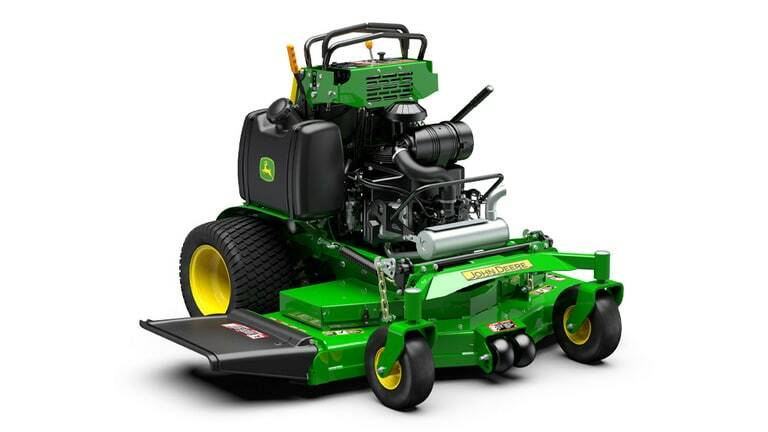 The M-Series models have been designed for customers who seek both performance and efficiency. 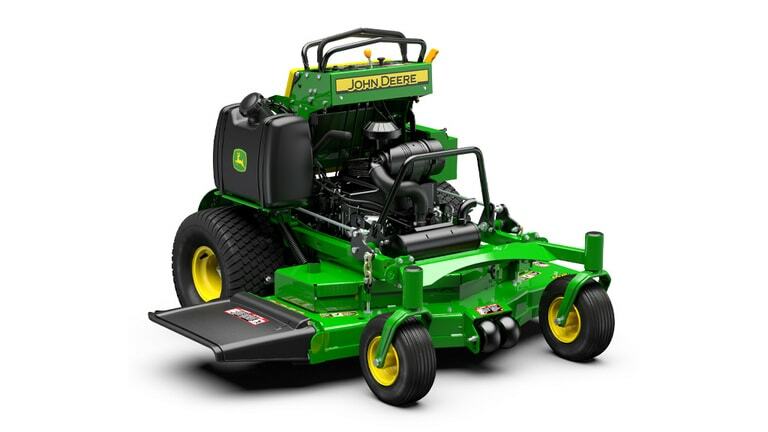 The R-Series models are the machines for customers that want the best of the best.